Get Recommendations. Friends, relatives, and coworkers are good sources of recommendations. Do they have a dentist they really like? Ask your family physician, pharmacist, or call a local dental school. If you’re moving, your current dentist may be able to make a recommendation. Use the Internet. The internet offers multiple ways to find a good practice. Use Google, or Yelp. Once you’ve found a potential dentist, look at their website. Their site should tell you about their practice, dentist and staff, office philosophy, policies and treatments. The internet also gives the patients feedback on the dental practice through patient reviews. Visit. Finally, you should take the time to visit your top dental office choices to take a look around and see if you feel comfortable with the office environment and dental care team. What Should You Ask/Look For in a Potential Dentist? Is the dentist a good listener? Is the dentist conveniently located for your family? Is the care the dentist provides affordable? Does the office accept your insurance? How flexible is the office with scheduling? Is the dentist open to providing thorough answers to questions and listening to concerns? The travel time to your dentist is an important factor to consider. There is no point in having a dentist you can’t easily visit. If you lead a hectic life, consider a dentist with hours beyond 9-to-5 office hours. Ask also if you can have your treatments on evening or weekends. The more services a dentist has, the better for you and your family. A dental clinic that offers multiple services can save your family valuable time. A clean, inviting and welcoming clinic is a sign of a well-run clinic. Ask to see the treatment room and equipment available before choosing a dentist. Policy and Procedures. Ask any questions that are important to you. How are canceled appointments handled? Are payment plans available? Courteous, friendly and professional staff make the dental experience more manageable for the patient and reduce stress. It goes without saying that you don’t want to waste your money! Our dental surgery was recently refurbished making every patient’s visit a pleasure from the moment they set foot in the waiting room including the time they spend in the dentist’s chair, which is the most comfortable chair on the market. There is even a television screen installed above. Alex Bratic Dental Care is located on City Road near the Pacific Motorway near Beenleigh Station, with convenient public transport nearby. Our onsite parking is free and very easy to access. We offer limited early evening hours as well! 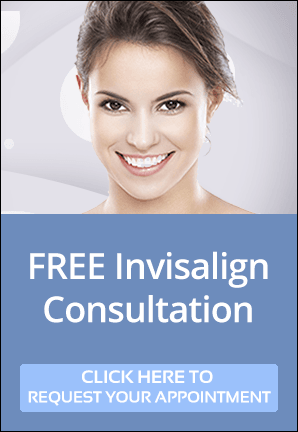 Alex Bratic Dental Care also offers FREE Invisalign consultation. We have some of the very best dental equipment including a Diagnocam and digital x-rays. The Diagnocam is a laser that penetrates the tooth, readily showing early decay that cannot be seen with x-rays or with a visual examination. Digital x-rays allow a reduced dose of radiation and an instant image.